There was much confusion as usual from the media during this controversy. Much of the media pretended that this was a policy adopted only be the Trump Administration and not by administrations of the past. 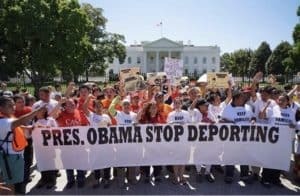 However, this policy started under the Clinton administration and has been the policy of President’s since. 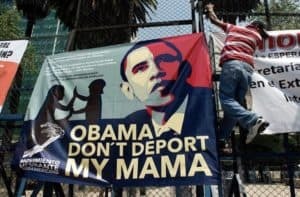 Under the Obama Administration this policy was enforced so tough during his first 4 years in office that Immigrant rights groups nicknamed him the “Deporter In Chief.” It is estimated that during the tenure of President Obama more immigrant families were deported than under any other Administration in United States History. So President Trump again breaking with precedence, did what no other President has done in almost three decades. Yes he may have gotten pressure politically to do it, but I can name a few things other administrations got pressure about and still didn’t act. The President should be commended for taking unilateral action to end something that many of the congressman Republican and Democrat whose served for many years could of ended a long time ago. I don’t know if this President will ever get a fair shake from the media. That’s why I opened this with he is “Damned if he does and Damned if he doesn’t.” Checking the headlines this morning and of course after the huge uproar, there has been no thank you Mr. President, the media is back throwing stones as usual. So frustrating, I pray that one day we will in a world with true fair and unbiased news. Comment with your thoughts below.